Who Is Mainstage at Camp Broadway For? 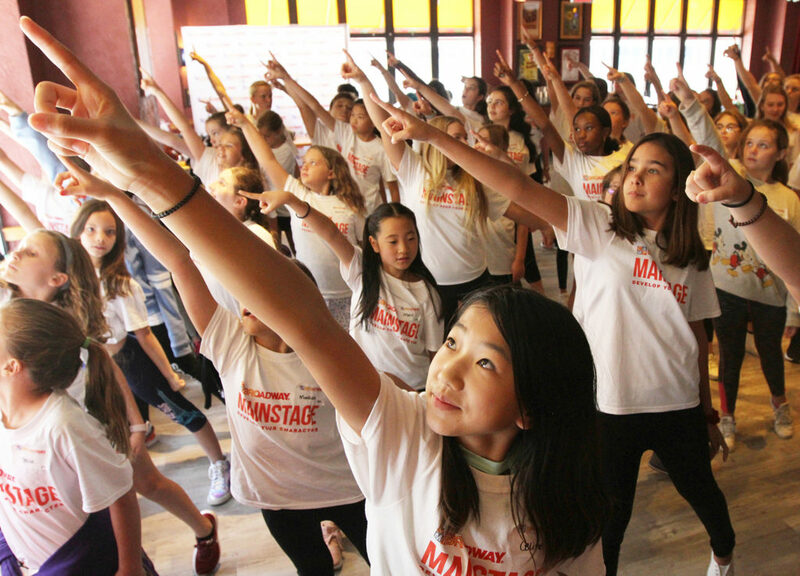 Our Mainstage musical theater camp is the destination where theater-loving kids ages 10 to 17 learn what life on Broadway is all about: working as a team to stage a full theatre production, personal growth in your artistic craft, experiencing New York City, and expanding your circle of theatre-loving friends. Located in the heart of NYC, this immersive 5-day intensive offers Mainstagers a taste of the total production experience! Want to improve your acting chops, explore costume design, or enhance your dance skills? 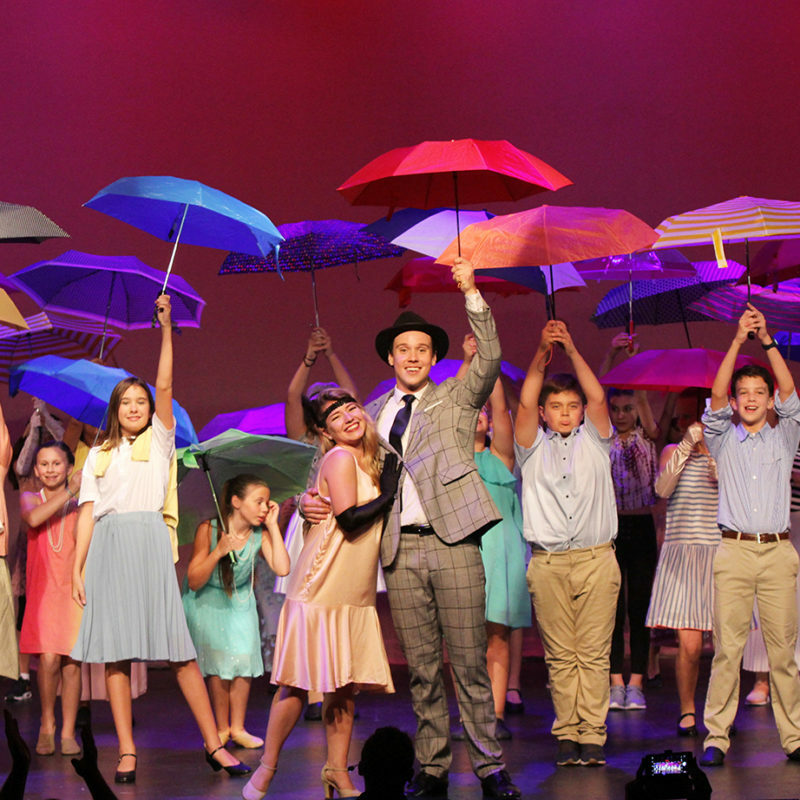 At Camp Broadway’s signature musical theater camp, you’ll get to do it all while learning from seasoned Broadway professionals in a real Broadway setting. 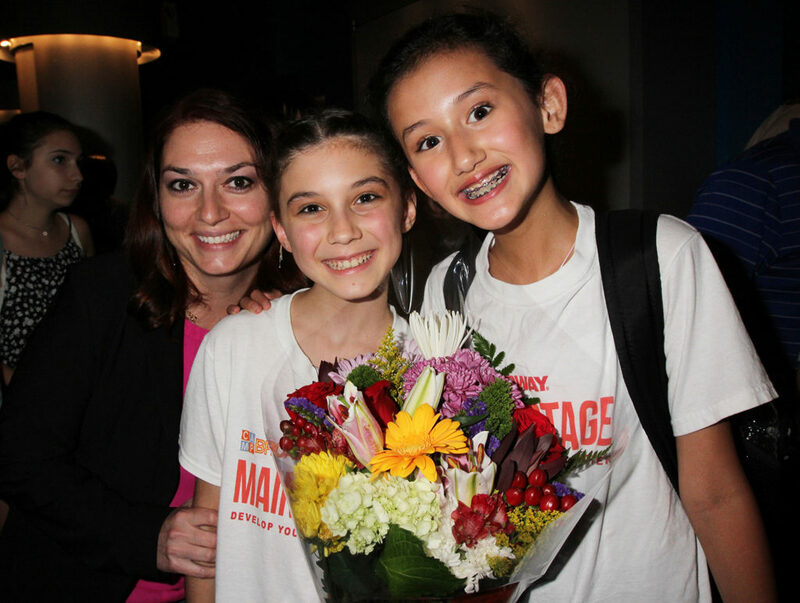 Mainstage is also an unforgettable event for the whole family, culminating in a dazzling finale performance, showcasing your learning, talent, and passion for theater! Along your journey, you’ll also discover ways to Develop Your Character. Character means more than the role you play on stage – it’s also who we are off-stage. At Mainstage, developing your character means balancing teamwork with self-discovery and understanding how your individual contributions lead to group success. By cultivating the habits such as mindfulness, personal accountability, and courage, we become better people as well as artists. 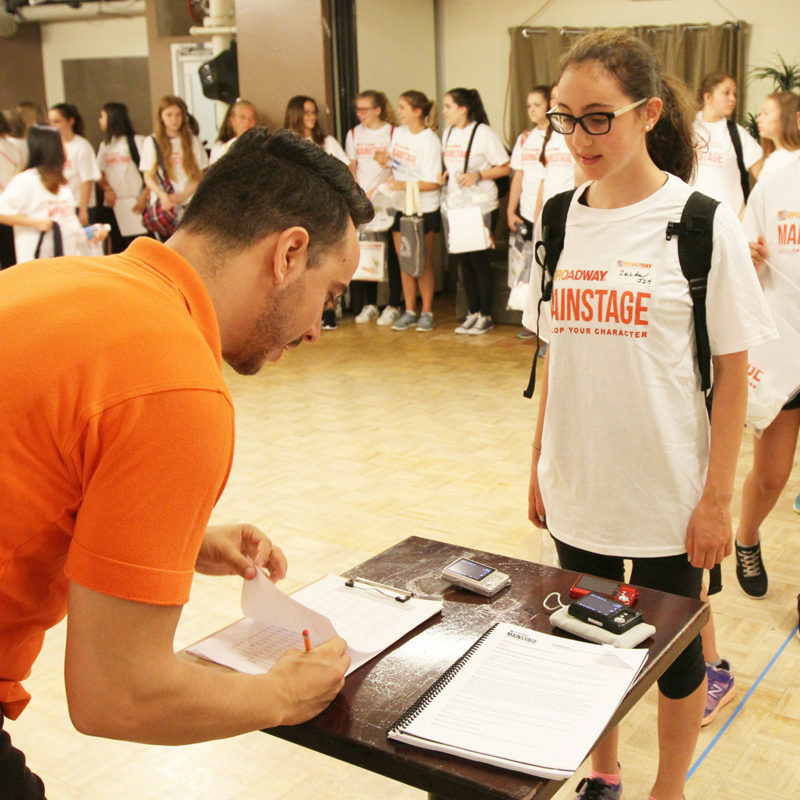 Nervous about making your Broadway debut? Don’t be! 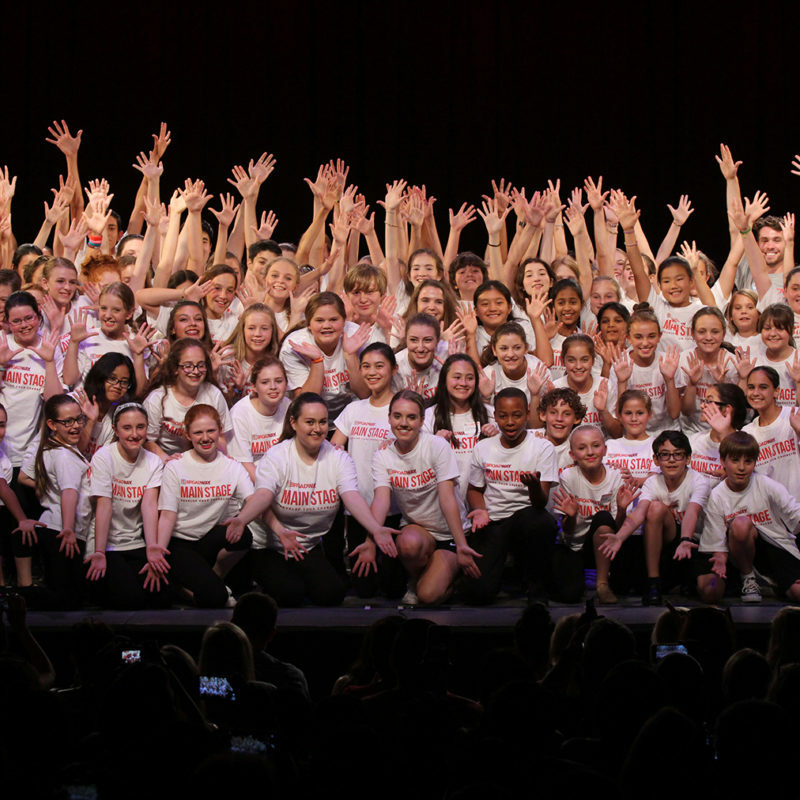 You don’t need to be a local theater star or show choir diva to join Mainstage, just an excitement for the theater and a willingness to learn and grow in your craft. Our supportive and enthusiastic Broadway community awaits! Why Mainstage at Camp Broadway? – literally and figuratively! 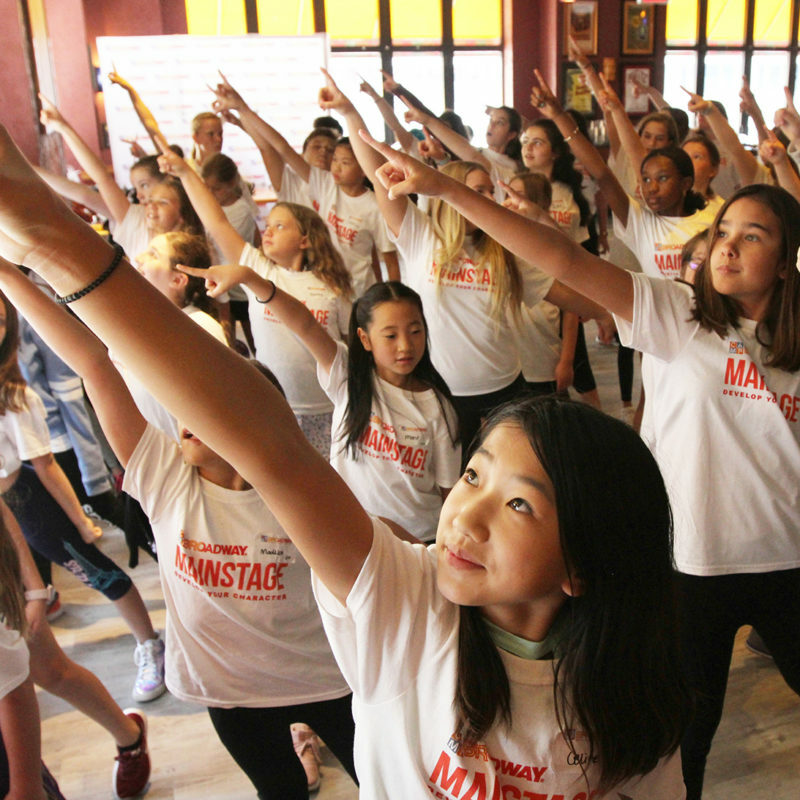 During your time at Mainstage, you’ll learn and practice the Camp BroadWAY of Life, including mindfulness, self-awareness, courage and respect. No matter what path you pursue, these are skills that endure, both on-stage and off. Our values create community, and it’s this community that brings Mainstagers back every summer for more! Our focus is on Ensemble Players, Not Stardom. At the Mainstage, teamwork is emphasized over individual performances. That’s why our Mainstage productions are led by Broadway professionals that rehearse with you all week. By removing the focus from centerstage, all players are free take artistic risks, support their cast members and just have fun! 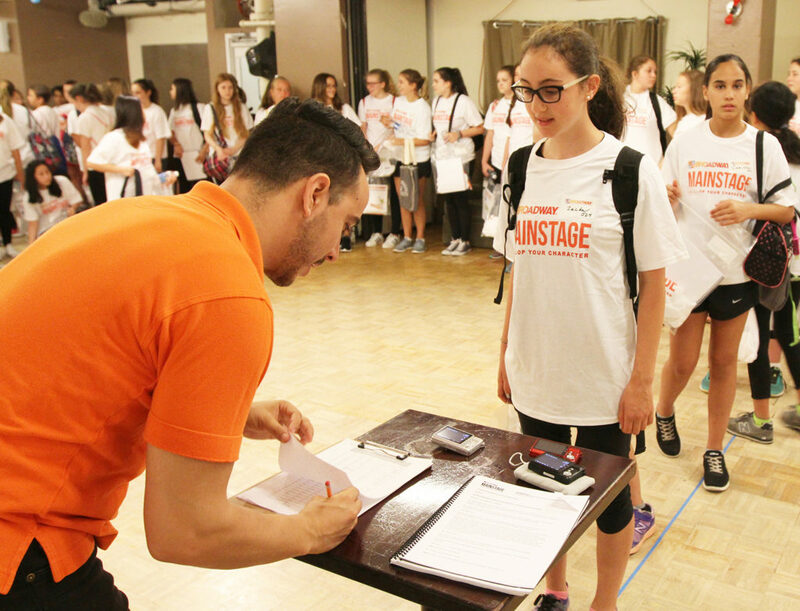 We hire Broadway pros who also have a passion for teaching tweens and teens. 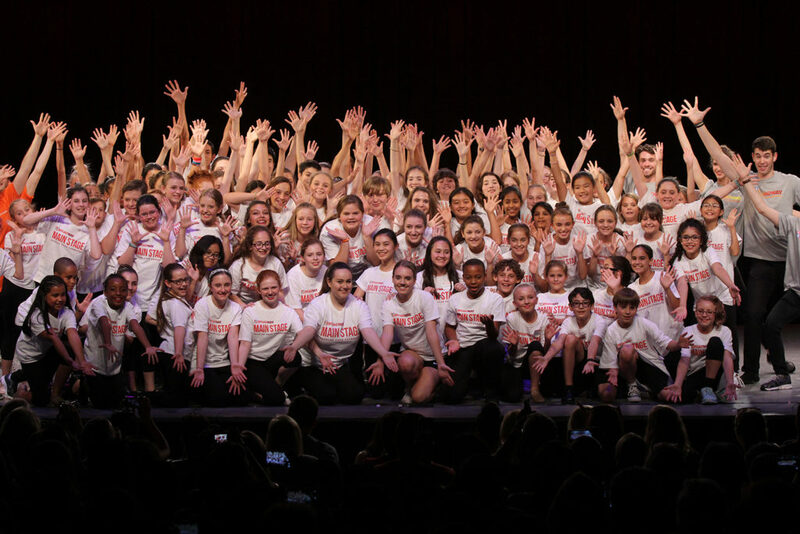 Over the course of your 5-day intensive, you’ll be taught and inspired by our staff of Broadway directors, choreographers, and music directors, who will support you through an authentic Broadway rehearsal process. Each of our staff are hand-selected, not only for their impressive credentials, but for their knack for seeing and bringing out talent in young people. You’ll gain new theatre-loving friends that feel like family. Mainstagers never leave the same as when they arrive. Staging a production with young thespians from across the country (and the world! ), is enhanced by special Broadway traditions and the exceptional camaraderie that can only be built by sharing a stage. It’s these memories and connections that keep our Mainstagers in touch throughout the year and back for more every summer. But you’ll also leave a piece of yourself behind. Part of what makes Broadway so beautiful is its dedication to honoring the past while reveling in the present. 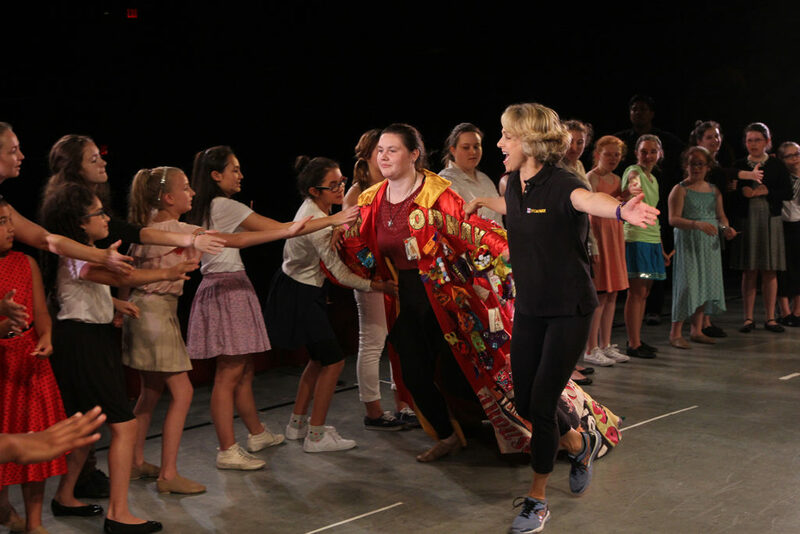 You’ll leave your mark by participating in one of Broadway’s most treasured traditions – the Gypsy Robe ceremony. Every cast member will create their own patch for the robe, forming a stunning physical representation of the many parts that make a whole. What Can You Expect from Mainstage? A better question might be “what won’t you do?” This jam-packed week has it all – from preparing and performing, to getting industry insights from the pros. 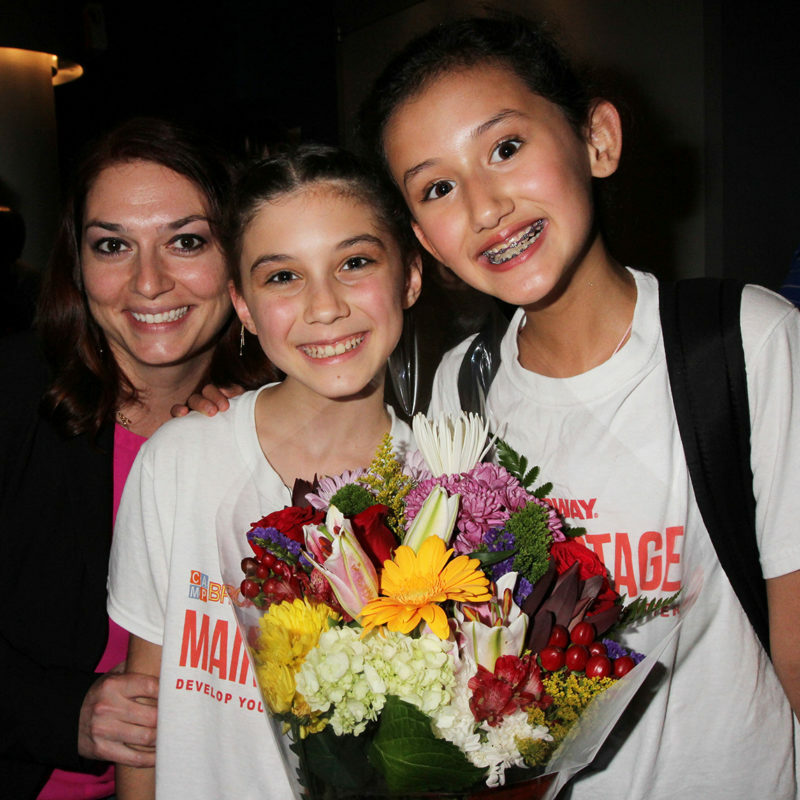 Matinee ticket to a Broadway show – a real Mainstage favorite! Healthy lunches, snacks and water – because you’ve got to feed the talent! Access to our ‘Call Board’ – with exclusive sneak peeks and all the need-to-know details to get you ready for Broadway! Join our "cast of characters!" When you sign in on Monday morning, you'll join a group of passionate young theater-lovers from around the world! Rehearse like a pro! 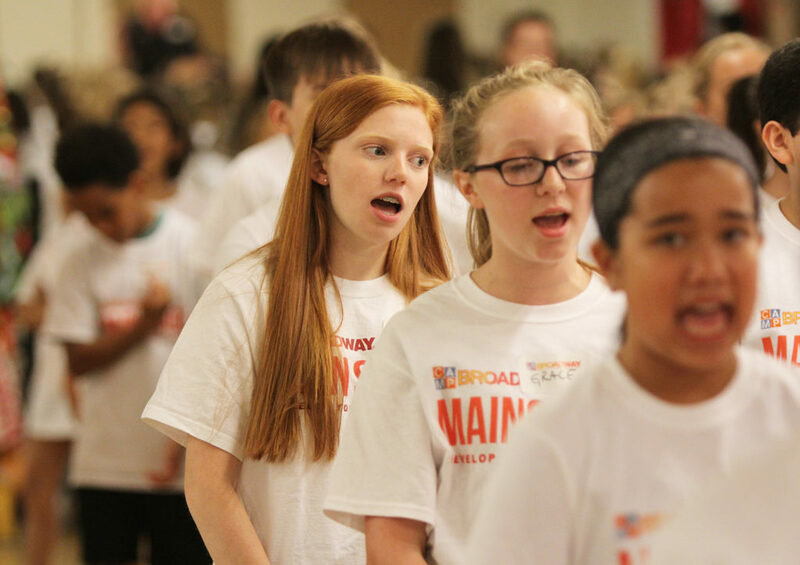 Under the direction of our team of highly-qualified Broadway professionals, you'll learn how to rehearse as an ensemble, working towards a common goal! 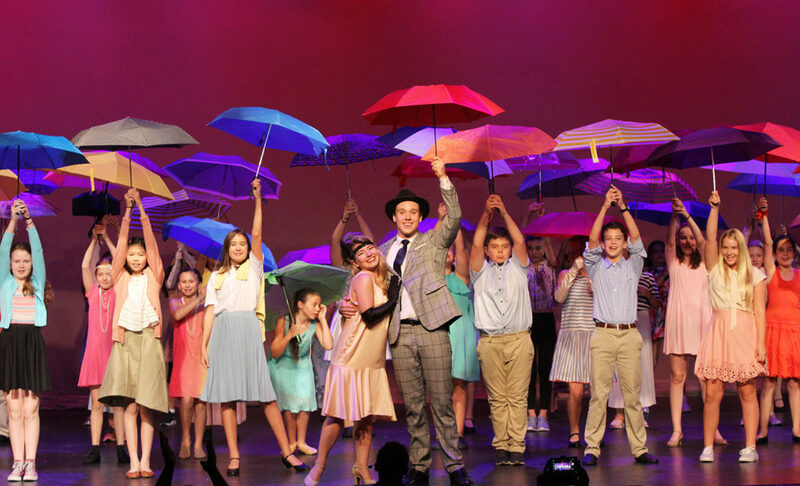 Develop your confidence, character, and creative expression--at Camp Broadway, you'll not only learn to work as a group--you'll also cultivate your own unique talents. See a Broadway show! 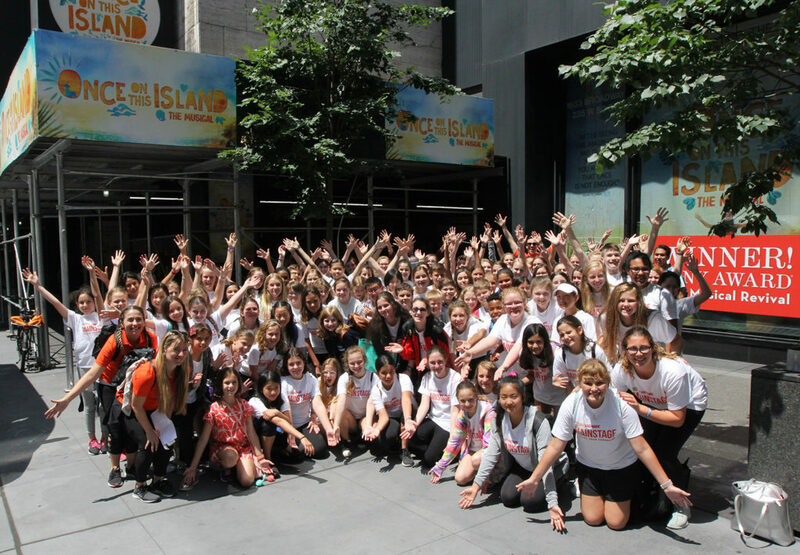 On Wednesday, campers attended a Matinee performance of the Tony Award-winning ONCE ON THIS ISLAND! They also met the cast and sat down for a private talkback. 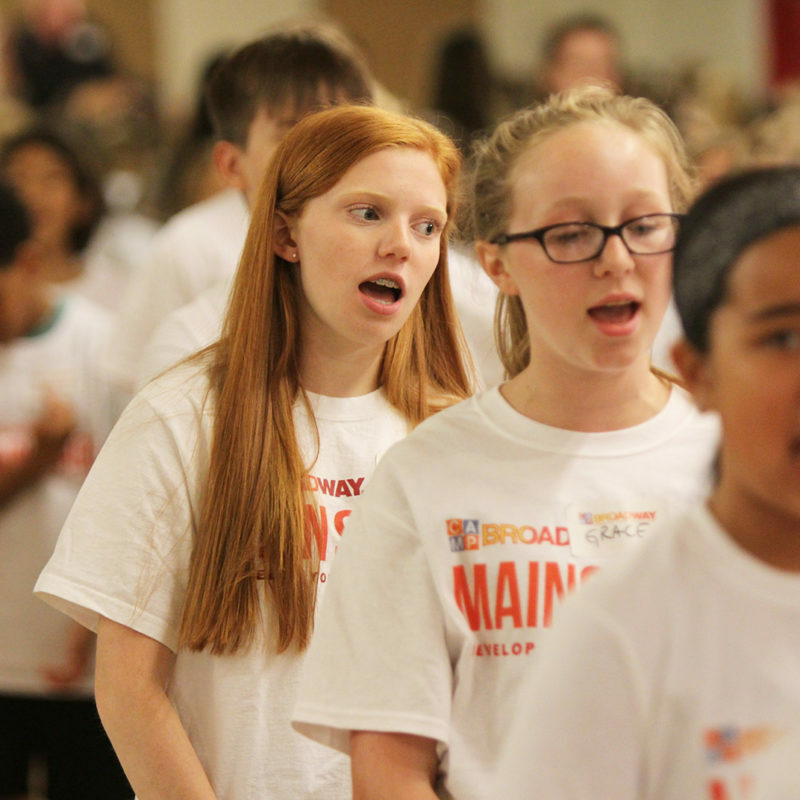 Take part in Broadway traditions! 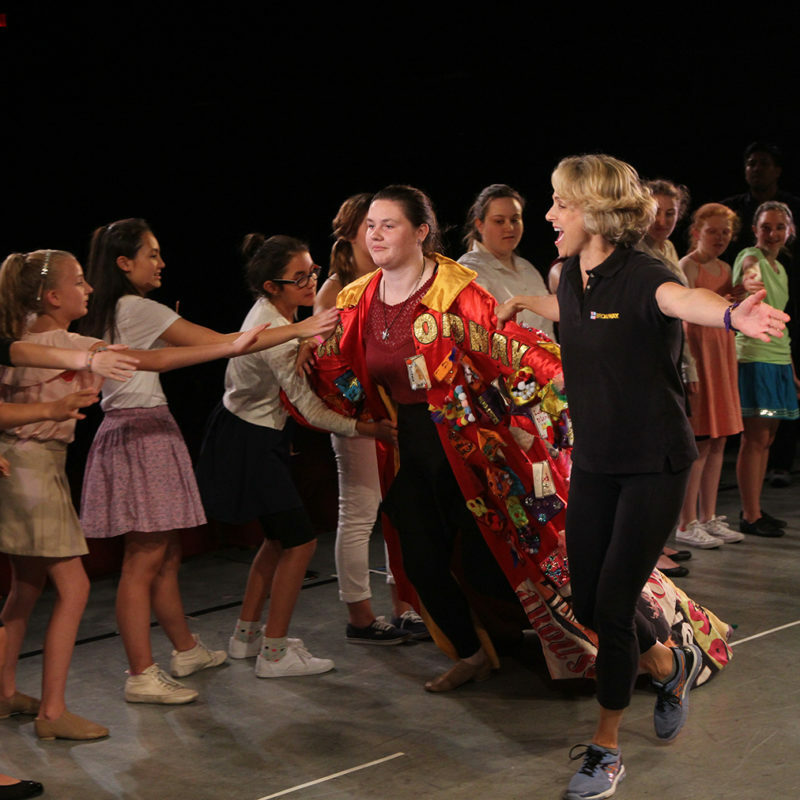 Over the course of 5 days, campers take part in both Camp Broadway, and Broadway traditions, from the Camp Broadway Medley to the Gypsy Robe Ceremony. Take your bow! 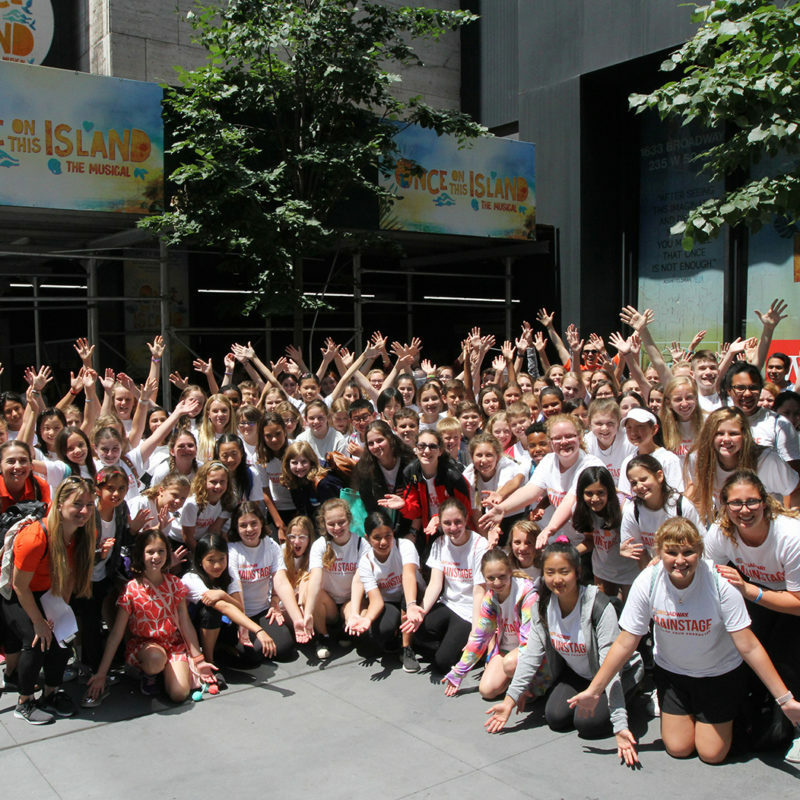 At the end of the week, campers make their debut in one of two Broadway musicals on a real stage in front of their family and friends! Take part in a tradition that unites over 20 years of CB'ers! We end our show with the Camp Broadway Medley, our showstopping finale! Celebrate your accomplishments with family and friends! Everyone is invited to attend this culmination of our 5 days together!